The final episode of Mad Men ended with Don Draper sitting atop a bluff in Big Sur, California, meditating. Sometimes, as they say, life imitates art. I have always been passionate about advertising, and after graduating from university I followed my dreams and worked as a Mad Woman at leading agencies in New York City and Los Angeles. I also had the amazing opportunity to work at two startups who were at various stages of fits and starts. I learned so much, worked really hard and drank quite a few martinis. When my husband accepted a new opportunity which sent us from Los Angeles to London, I initially intended to keep working in advertising. I would have this incredible opportunity to learn strategic planning in the birthplace of planning. I met with some truly brilliant strategy leads, got a glimpse into how they did things, and also got to hear about their strategic challenges, which seemed quite similar to what I had experienced in Los Angeles. Does this insight really matter? How can we best tackle multi-screen? Do programmatic digital banner campaigns really work? But below the surface, I also learned about aggressive clients, stretched creative teams, difficult media partners, and ever-shrinking budgets and timelines. Again nothing new to me, but I began to ponder whether all of this stress gets in the way of thinking, creating, and thriving. During this same period, I embarked on what I thought may be a once-in-a-lifetime experience to go to India and deepen my own meditation practice. 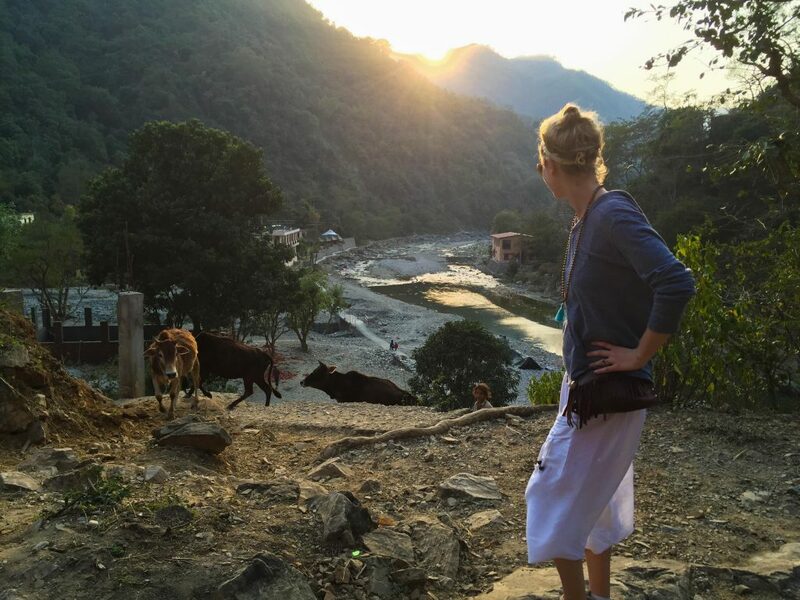 The group I joined at the Sattva Ashram in Rishikesh, the birthplace of yoga which sits at the foothills of the Himalayas, was engaged in advanced teacher training, but I was reassured that I would be able to keep up. I wanted to work on my own personal mindfulness, but I also sought mental elasticity so I could more easily develop stronger strategic insights. And wow! It was a breakthrough experience which changed my outlook on almost everything. I came back to London with a heightened focus on living mindfully and started to notice a very strong positive change. I continued to believe that I would get right back into advertising when the right opportunity came along, despite my growing interest in meditation and awareness. However, it started to become clear that there were so many other people who could benefit from these incredible proven ancient practices. I decided to attend another training as my interests continued to grow. It was there that my teacher, Kia Miller, looked directly at me and said “You must teach,” and from that moment there was no going back. I knew to master my own practice, I had to teach as well. All directions pointed to my new quest: Clarity Kingdom. My passion for meditation and its wondrous benefits could not just help my fellow stressed Mad Men and Women, but also the tremendous number of people across industries who struggle to concentrate, stay focused and be happy in the present moment. Indeed, more companies across the globe are recognizing the importance of employee mindfulness on productivity and overall well-being, and I am excited to help play a role in bringing the necessary tools to those who need it most. My path ahead feels more clearly illuminated. I am excited about this new opportunity and I am so grateful to my early clients for trusting me. Thank you to my wise teachers, my sangha (yoga community of like-minded wonderful people), and my family and friends. Lastly, I would like to deeply thank my husband, for all of his creativity, support and unconditional love. I am truly grateful and blessed. Hi heather!im so impressed by your new endeavor.i have taken yoga classes for about six months primarily to stretch and improve mobility but along the way the instructors have touched upon mindfulness etc.you are so eloquent in describing the path you are on.good luck to you!! Good for you and for those you touch. Lovely to make it all about others!